Once in a while, we will meet drivers who will be road hogging in lane 1 on the highway. As much as it is annoying, there is nothing much we can do. However, the authorities in the state of Nevada are hoping to end the issue by fining people who travel below the speed limit in the overtaking lane. According to the article on Carscoops, the traffic police will be slapping first time offenders with a $50 (S$68) fine and the fines will rise to $250 (S$340) for third-time offenders. 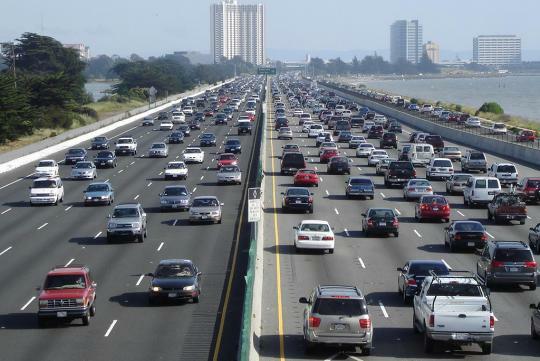 The state came up with the law as they felt that lane 1 road hogs are one of the key reasons for road rage. “What they will do is move over to the second lane, or middle lane. They will pass and then as soon as they clear the car, they will cut back in the fast lane, cutting the driver off that is going below the speed limit. And next thing you know, they are showing each other they are number one, and they are holding up the finger,” Nevada Highway Patrol trooper Dan Gordon said. Here's us hoping a similar law like this will be enforced here in the future. nation building. Don't disappoint them. Singapore should also do this. Let's be tough on law breakers.